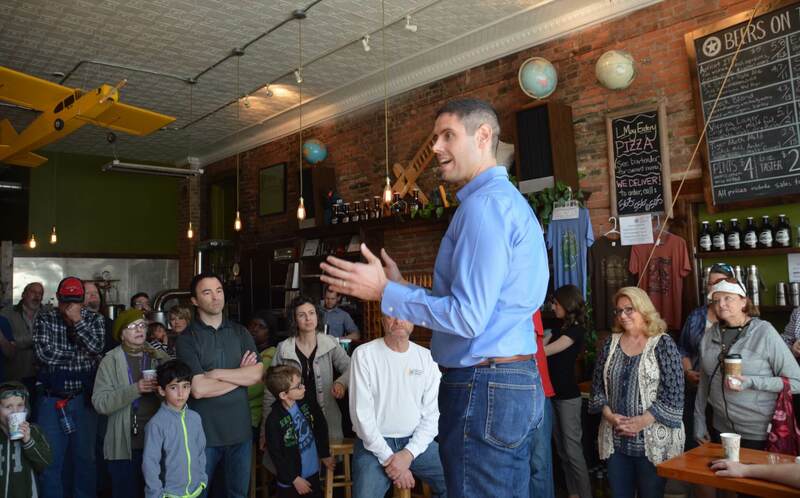 The first leg in Nate Boulton’s long marathon to the Democratic gubernatorial nomination saw a common theme at his kick-off events in breweries, restaurants and coffee shops this week: energy. Boulton was met by cheering crowds in packed rooms where the atmosphere felt more like the weekend before Election Day, rather than an introductory visit a year and a half out. At several stops attendees stomped and clapped their feet to mimic Boulton’s announcement video. 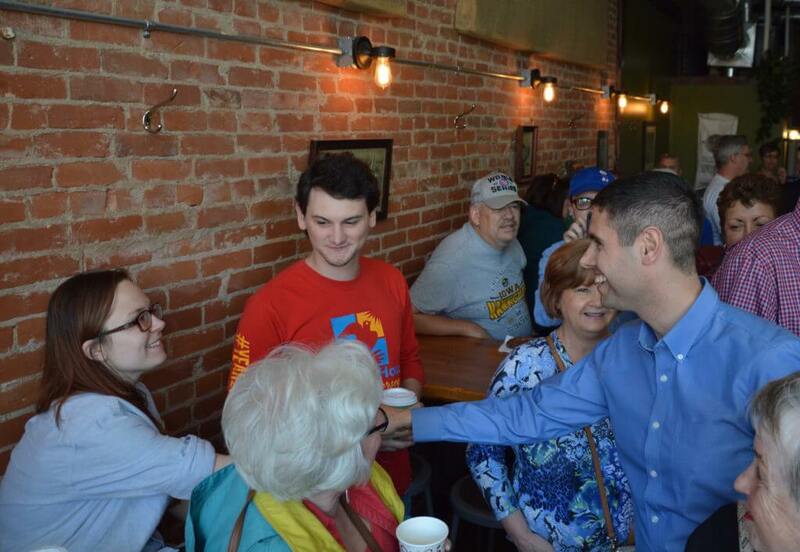 In years past, Iowa Democratic candidates have struggled to turn out even dozens of party loyalists to local meet-and-greets in cities large and small. Sure, you can get a good showing if you drop into a county party fundraiser that’s been in the works for months. But for the most part, Democrats running in key races for governor, senate, congress and even president have had a tough time organizing big rallies in multi-day tours. So the early enthusiasm for Boulton was apparent to many of the longtime activists who made up part of his audiences this past week. Boulton’s six-day, 16-town statewide tour began in his hometown of Columbus Junction. 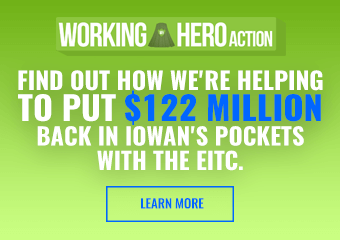 He’s hitting every major city in Iowa, along with a few smaller towns in between. Starting Line followed along on the tour this Saturday as they hit up Dubuque, Independence, Waterloo and Cedar Rapids. The crowds that showed up to his events were about 1/3 longtime activists, 1/3 young people and 1/3 public school teachers. All were familiar with his launch video, and most knew him from his central role at the Statehouse workers’ rights battle. Others had only known of Boulton for a week or so, and were already very interested in his candidacy. Others knew Boulton through various connections to Simpson College and Drake Law School. Michael Pittman was in Sigma Alpha Epsilon with Boulton at Simpson, and came out to the Waterloo visit. Pittman hadn’t seen him for ten years, but recalled Boulton’s leadership in chastising fellow fraternity brothers who were denigrating others. “I remember specifically him calling people out – there was something said during Rush. He didn’t call anyone out by name, but said, ‘Hey, there’s some talk that’s inappropriate and somewhat discriminatory toward the other fraternities,’” Pittman explained. Libby Batey, 28, of Waverly had gone to Drake Law and Boulton had been her best friend’s attorney mentor. She particularly liked the candidate’s rural focus. He’s also been helped by his senate colleagues, ten of which have already endorsed him. For many events senators worked the phones and social media to get local friends and activists to show up. 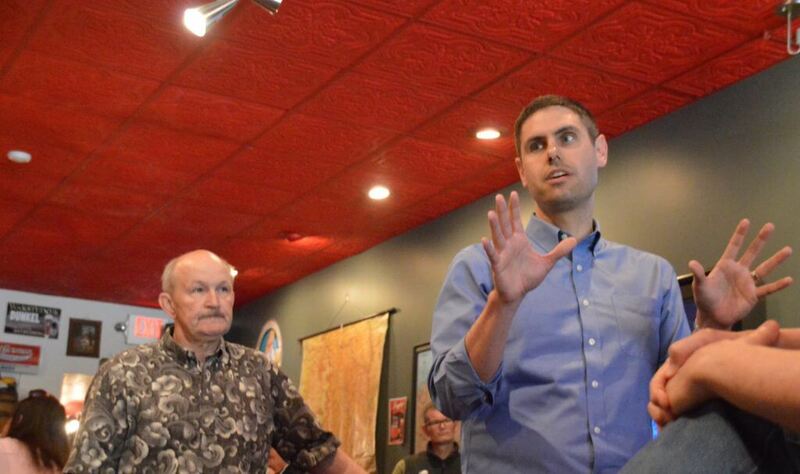 They also served as key validators to explain why Democrats should embrace a young upstart legislator who was virtually unknown statewide until just a few months ago. Jochum noted that she’s encouraged the next generation of leaders in Iowa to take the baton from baby boomers like herself. Several activists at the Dubuque stop told Starting Line they were ready to commit to Boulton because of Jochum’s endorsement. 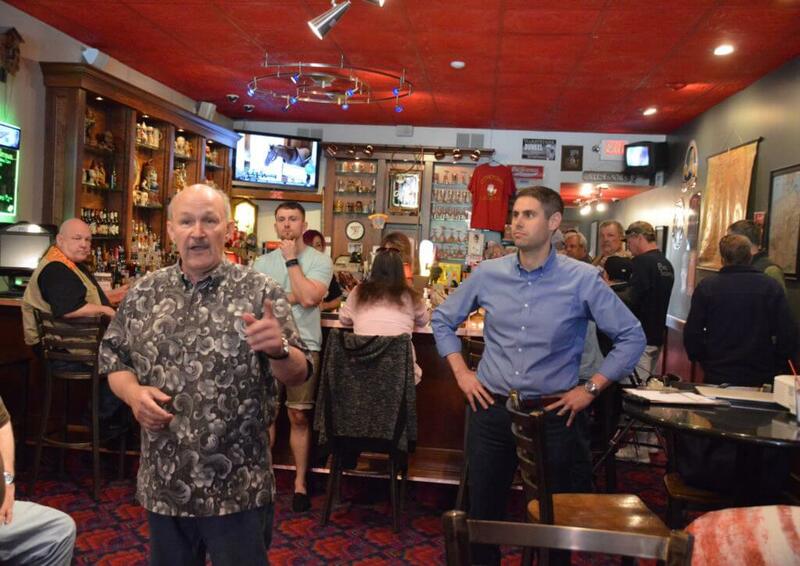 In Waterloo the meet-and-greet was held at Senator Bill Dotzler’s bar. “I’ve met a lot of people in politics in my 21 years in the Legislature, and he is one of the most talented people I’ve ever met,” Dotzler exclaimed. 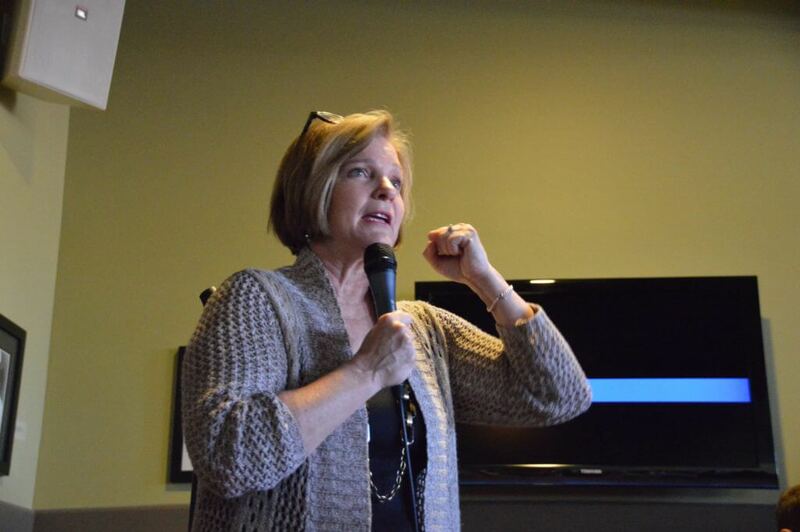 And in Cedar Rapids, Senator Liz Mathis described Boulton as “cool and calm” in his leadership on the collective bargaining bill, and recalled the moment of his speech in the Statehouse rotunda during the huge protest. Mathis also addressed a big concern for down-ballot Democratic candidates, who have been wiped out in recent years due in part to top-of-the-ticket nominees that failed to catch on. Many people online quickly suggested that ticket be a Boulton/Mathis one after they shared a photo of them together at the event. A robust social media strategy has also boosted the early stage of Boulton’s candidacy, a departure from usual practice in this state. Despite the fact that new, inexperienced grassroots activists have used Facebook event pages to turn out tens of thousands of people to rallies, forums and marches this year, most of Iowa’s Democratic candidates have been inexcusably quiet on social media. Boulton’s staff have posted to his Facebook campaign page 24 times since his Thursday launch, as of Monday afternoon. Andy McGuire has posted six times on her page since her April 10th announcement. Sometimes Boulton simply shoots a quick, 30-second video of himself explaining where they are on the campaign trail that day. Democrats, particularly younger ones, have taken notice. Boulton’s main pitch at these events was a simple one: he’s fought the Branstad/Reynolds administration before in court and won. The party is fighting for the soul of Iowa in 2018. His focus is on workers’ rights, clean water, rural economies and educating the workforce of the future. He mentions his wife’s work on the Iowa trails system. He warns that closed beaches and rivers will turn tourists off to the state. Some have questioned whether he’d be as fluent on non-labor topics, but he seemed comfortable answering policy-specific questions during some Q&A in Iowa City. On Sunday Boulton’s campaign celebrated their tour’s success so far, saying over 1,000 people had attended his various events. Starting Line counted 90 people in Dubuque, about 60 in Waterloo and over 75 in Cedar Rapids. 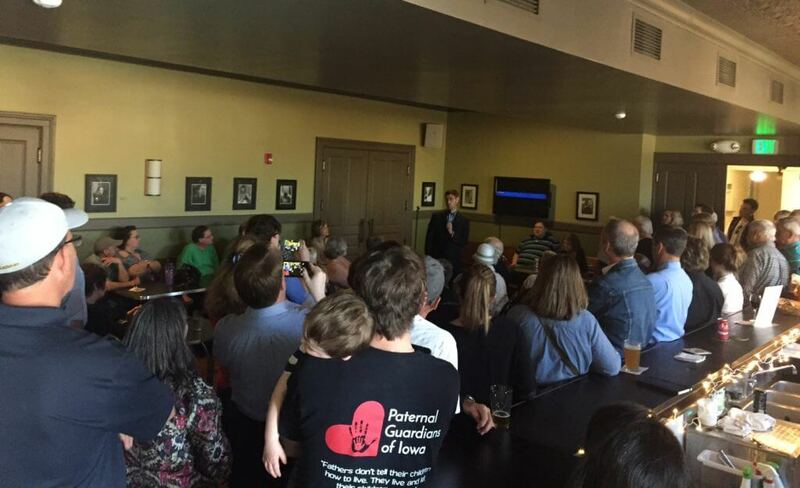 His events in Des Moines and Iowa City drew crowds of around 200 at each. 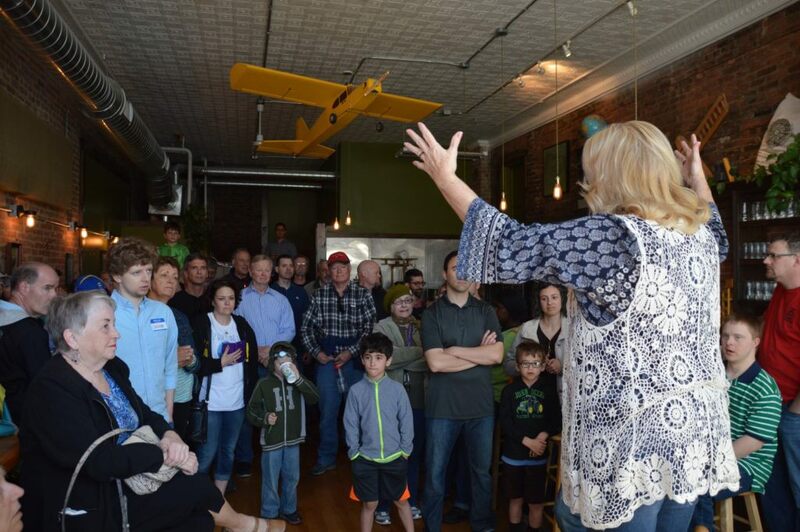 Much more goes into a winning campaign, but widespread enthusiasm on the campaign trail adds a key component to Boulton’s candidacy, something that several past Iowa Democratic nominees for statewide and congressional offices have lacked. It’s hard not to see how Boulton has emerged as the Democrats’ de-facto front-runner after his impressive opening, along with his likely labor support. Obviously, there’s a full 13 months to go until the primary. 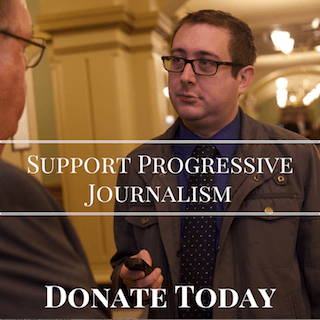 That’s an awfully long time to keep up the momentum, but it seems Boulton is starting the race with a solid foundation of support to supply him with activists and small dollar donations. 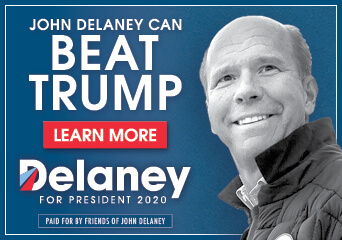 That’s a very good thing to have as more candidates jump into the race for what will certainly be a long, hard-fought battle to win the nomination in June of 2018. I’m a 66-year-old Navy veteran who is semi-retired. I attended Nate’s Dubuque visit. I watched the video. He’s got it! It’s only early May 2017, but he is the frontrunner. He is bright, articulate with a message that resonates. He has the energy. I like this millennial. He can win in 2018 and bring sanity and reason back to our state. 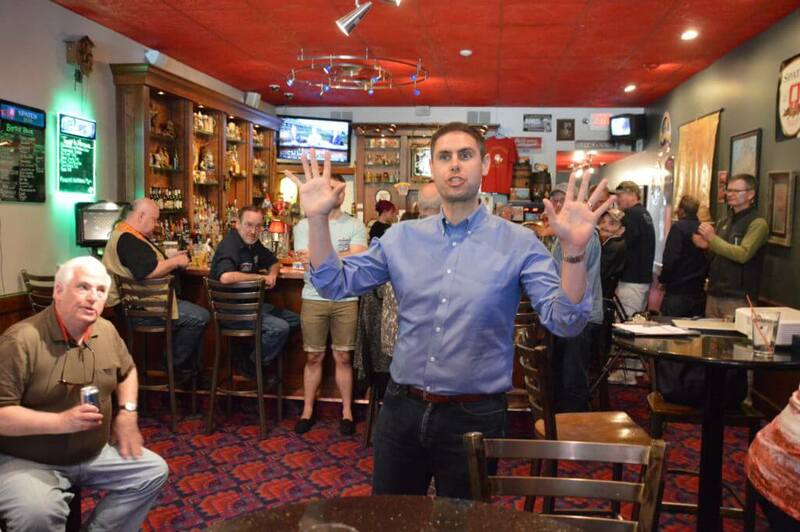 I wasn’t able to attend Nate’s Dubuque meet-and-greet, but if Pam sees enough in him to be his campaign chair, this kid (OK – he’s not a kid, but I’m 69. He’s a kid!) must have something special. Looking forward to seeing more of him! Nate has got It! Brains, appearance, charisma, knowledge, and energy.